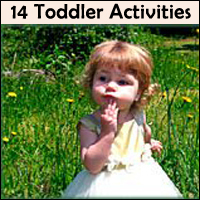 Fun toddler activities can include anything from blowing bubbles, kicking a ball to singing a song. All these toddler games are not only fun and enjoyable but also an important part of learning how your toddler's body and brain works in relation to the world. However, getting a list of lots of activities is great and helpful (we all need inspiration) but in essence, what matters is not so much exactly what you DO with your child! What matters is how you ARE with your child! When you're present, tuned in and engaged, the activity itself actually becomes irrelevant. If you're present, whatever kind of toddler games you play will be fun! This is true! What matters is the experiential quality - the feeling of deep connectedness that is the RESULT of the activity. However, in order to get there it is a good idea to have a couple of fun activities for toddlers up your sleeve to pull out when needed. And stuffing your sleeve to bursting point with fun, educational toddler learning games and creative toddler games is precisely my aim here. 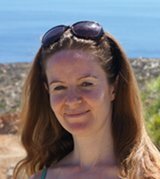 What Are Toddler Lesson Plans and Learning Games? Well, basically toddler lesson plans are interesting, fun toddler activities that stimulate your toddler's lust for learning which thereby teach them new skills and develop existing ones. Most likely, you don't have to think where what you're doing is a lesson plan or not. As long as your toddler is enjoying himself / herself by exploring his or her body, brain and not to forget, heart, in relation to the world, it is a lesson plan. Children are curious by nature and this drive for learning and testing will naturally throw them into the world through their playing. It's very simple. Learning is what they do! What you can do to pave the way for this stimulation is to provide your toddler with interesting opportunities with which to engage with. You can help by creating a world of interesting stimuli! Toddler lesson plans can include a wide range of subjects such as literature, speech, nursery rhymes, songs, crafts, nature and physical exercise. However, just as important lesson plans are remembering to talk while looking your toddler in the eyes, spontaneous hugging and kissing. These actions are toddler lesson plans, too! Extremely important ones! 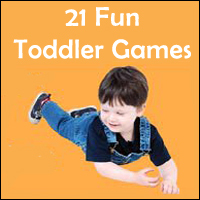 However, for now, let's proceed with some of the more traditional fun toddler games that are also toddler learning activities. Interestingly enough, many of the old nursery rhymes and songs that have been passed down from generation to generation are actually really rich with various educational themes for your toddler. Yes, you will be surprised at how many of these toddler games are actually beneficial for teaching basic hand and eye coordination and rhyming. Also nursery rhymes help to develop listening skills as well as increasing your little one's vocabulary. Nursery rhymes also have a more basic existential function. The repetition and routine of singing nursery rhymes often will come to be associated with security and predictability. When engaging in a nursery rhyme or song, your child will come to know what will come next - the prediction of which installs a sense of control which equals feeling secure. 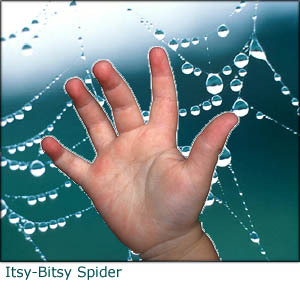 Everyone has probably played 'itsy-bitsy' spider and there will be no toddler who does not love that song. Fine-tuning of finger dexterity. (Even us adults have to concentrate a bit when hand imitating the spider crawling up the wall). Learning to create symbolic representations of objects (the sun, the rain) with the means of hand gestures. Fuelling the imagination to actively create inner images and actions. Stimulating and developing the inbuilt sense of rhythm via the playing with sound. A space of joy, safety and security if song regularly - children find great comfort in repetitions, routines and predictability. The 'Hokey Pokey' is another one of the many fun games for kids that have been popular for years. The best thing about the games involving rhyming and movement is that they teach as well as entertain. 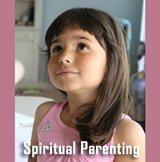 Your toddler will learn and have fun all at the same time! Learning can be fun and when it is, children want to learn. Developing their physical sense of balance and medium-large motor skills. 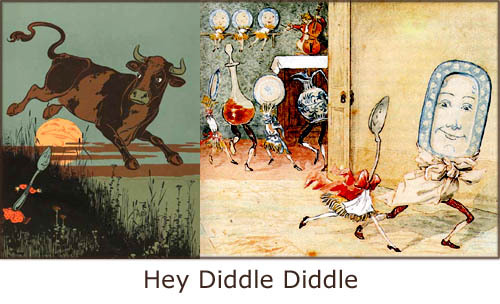 Even nursery rhymes that are not necessarily part of a game can help toddlers to learn. Some nursery rhymes and songs are ideal for stimulating your toddler's perceptions of sound, expanding their vocabulary and introducing new objects and elements in their life world. 'Mary had a Little Lamb' introduces a cute little animal, a lamb. 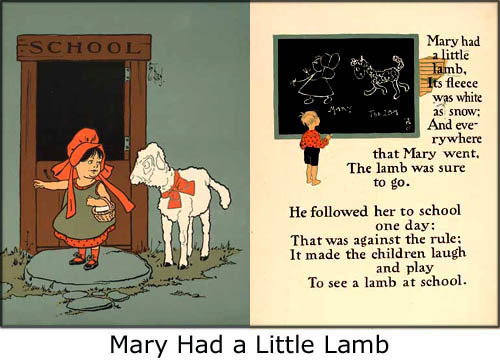 Even though your toddler will not understand everything in the song, 'Mary had a Little Lamb' has great rhythm and rhyme and the overall message is positive and loving: The lamb loves Mary and Mary loves the lamb. Simple and pure! 'Twinkle, Twinkle Little Star'. Once again, your toddler will only fully understand the very concrete words such as a star etc. however, the rhyming and the tones will, with repetition, provide great comfort and inspire your toddler to repeat difficult words and challenging linguistic pronunciation. 'Hey, Diddle, Diddle'. Of the three nursery rhymes mentioned here, this is probably the one your toddler will understand the best. The rhyme mentions very concrete objects that do very concrete actions. Also it is very short, so your toddler will quickly learn it by heart. Repeating the nursery rhymes, especially with a book that contains pictures, helps them to learn about a variety of animals and their world, from the moon to the stars. Important research has shown that imagination, confidence, humor and fun are all part of beneficial early development. Games and activities provide all of this and more. As the parent of a toddler, you know there is never a dull moment. Experiencing the world through your children's eyes is a learning experience for you as well. Many toddlers - at one time or another - have a make-believe friend that shares in their experiences. It is not unusual for them to make up their own games and hold conversations with someone you cannot see or hear. Imagination is the beginning of creativity and resourcefulness and is an important part of problem-solving later in life. Find a bag or even better a, basket, and take your toddler through the house on a shopping trip. Discuss what you need and put things into the bag: e.g. 'oh, we can use a pencil, can't we? ', 'Look, there's a small cushion. Wouldn't that be perfect for your doll to sleep on tonight?' etc. When you're done with the shopping, go to the counter. This can easily be the dining table. Let your toddler fish up the groceries from the bag and put them on the table. You will be the cashier and you will put all your toddler's groceries in another bag for you toddler to carry home (into his / her room). This toddler activity can be played on the beach or in the sandbox at home in the garden. Before you get going with the baking, go out to find some 'cake decoration'. Gather leaves, small stones, twigs - whatever small things that nature offers wherever you are. Now start making sand cakes and mud pies. You can get many funny shaped containers when you buy sand toys, but you can also use something as simple as a bowl from the kitchen. 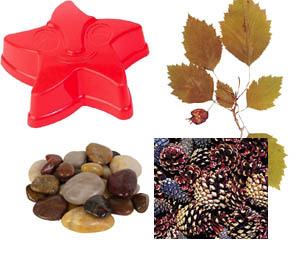 Decorate the cakes and pies with the small stones and twigs to make them even more delicious. Pretend to eat them. Watch your toddler as he or she might get carried away and end up really having a taste! Toddlers can learn to enjoy playing alone for short periods of time. Although most toddlers will not entertain themselves for longer than 15 minutes or so until they are a little older, many enjoy drawing, playing with pots and pans or stacking blocks. These toddler activities can give parents a few moments to relax, fix lunch or perform one of a million other tasks. One of the favorite indoor toddler games is to make a tent. This can consist of nothing more than a bed sheet draped over a table or a couple of chairs. With a couple of pillows to sit on, the tent provides an area for toddlers to take their stuffed animals, books or other toys to play. And remember not to forget the flashlight! The flashlight is definitely the cherry of the cake! Making a tent allows them a space that is all their own and of which they have full control and authority, which is just as important for toddlers as it is for older children and adults. There are many crafts for toddlers that can be enjoyed outdoors or indoors. Some of the outdoor activities can even be modified for indoor play when the weather is bad. Go outside in the late hours just as the sun is low over the horizon and casts those pretty long shadows. Tell your toddler to stand in a funny position, e.g. with his or her arms right up in the air. Use chalk to trace your toddler's shadow. Have your toddler help you with the decoration afterwards. You can use different colors to add facial features and accessories such as a hat, a bag or flower. A variation of the shadow art is to draw your toddler's feet or hands on paper and let them color them. If your toddler shows an interest in drawing, coloring or painting, there are a variety of crafts that they will enjoy. Go out and buy some sponges. You can buy common kitchen sponges if you want. They don't cost very much. Cut them into different shapes so your toddler can create animal shapes such as fish or hearts, circles, squares and triangles. Reserve one sponge shape for each paint color (e.g. on a cardboard plate) so that the colors don't get mixed and all you're left with is a brownish mud color. Use this opportunity to teach your toddler about the basic geometric shapes and the color spectrum. Easy crafts for kids can include making something they can wear. This project can be fun for both toddlers and older kids. 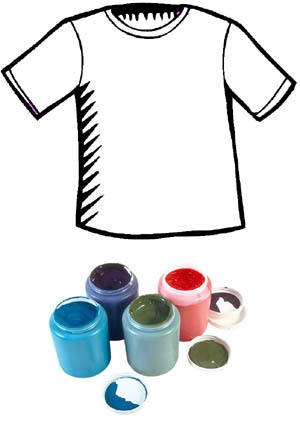 A plain white t-shirt can be decorated with their handprints or foot prints. Using different colors and letting your toddler place his / her hands or feet randomly on the t-shirt will be a fun project that will remembered every the shirt is worn. (Remember to buy paint with no toxins or harmful substances). Let your older kid experiment a bit more by using various tools and methods. Provide your kid with an old toothbrush. Show your kid how to make a great sprinkle effect by running your thumb over the hairs of the toothbrush. Wet certain areas of the t-shirt with water. When you kid puts paint onto a wet area the paint will blur somewhat which can give a great effect. 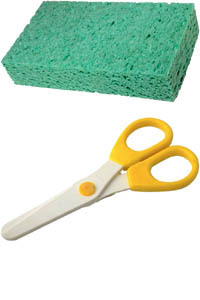 Let your kid cut out some sponges for that fabulous sponge effect. Toddlers love to get outdoors and explore the great unknown world in which they live. There are many adventures waiting for that eager and curious toddler of yours. Let's see, your backyard can be a terrific place to start. Take your toddler on an exciting discovery tour in your garden or a nearby park if you have one. Find some ants and observe them for a while - they are truly fascinating. 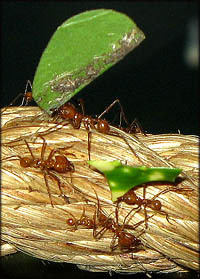 Explain how the ants are incredible workers who really know how to help each other bring food and build amazing homes. If you're lucky you'll be able to see the ants carry (to them) really heavy objects many time their size and weight. Your toddler will love to see the pictures you've taken once you get home. Worm rescue 911. If it has just been raining, here a fabulous, good Samaritan activity that both you, your toddler and the worms will love. When it's been raining a lot, worms seek to the surface in order not to drown and somehow these poor animals end up trying to crawl over the pavement. Bad idea! They end up drying out. Teach your toddler how to help them by finding a small twig and pick up the worms very gently with this and carry them to safety. 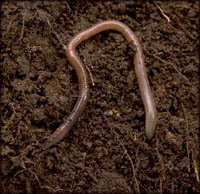 A place with good soil, preferably a good distance from the pavement so that the worm won't venture out there again. 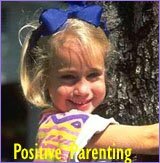 With this activity you teach your child how enjoyable it is to help other living beings. Bird watching. Most birds are easily scared so watching and observing birds is going to also be a toddler exercise in patience, standing complete still and being quiet. However, once your toddler grasps the connection between stillness and getting close to the birds - he or she will have a blast. Animals are fascinating creatures and even though they will not be doing anything overly exciting as such, they are still 'foreign' enough for your child to be curious in them. Getting your child interested in nature is a truly wonderful and healthy gift. If you sense that your child is interested in animals and nature, grasp this window of opportunity and feed your kid's curiosity in this area. You won't regret it. From the age of three, my son has been utterly fascinated by the animal kingdom. So much so, that he knew the names of up to 20 dinosaurs (and no they are not easy to pronounce or remember, try saying Parasaurolophus and you'll get my point), how they ate, what their 'weapons' and defenses were etc. All children enjoy playing in water especially when summer days become warm. A pool can provide hours of fun and filling it with water toys will make it even more entertaining for toddler activities. 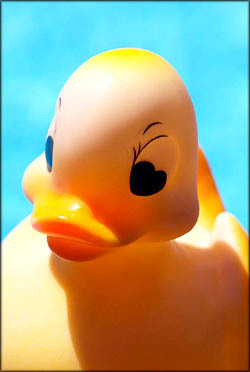 Squirt guns, floating toys such as fish, frogs, ducks, boats and submarines and more are available and add to the fun. Pick out animals and dolls that can handle being wet. Bring also small cups (plastic, not glass), sponges, bowls etc. Tell your toddler that he / she can invite his friends (the animals and dolls) to a pool party, where they can have drinks (from the cups), be washed (with the sponges) and have a good bath (in a bowl), enjoy a waterfall (pouring water over them) and so on and so forth. Remember never to leave your toddler unobserved when being near or playing with water! Find a big bucket and if you have lots of balls, perfect, but if you don't, go and rummage through your toddler's room to find soft toys, that won't break when thrown. Place the bucket a few feet away and take turns in throwing things into the bucket. Also, this is a great activity for developing coordination. A game of hide and seek adapted for the little ones could include hiding an object so they will not get upset if they cannot find you. 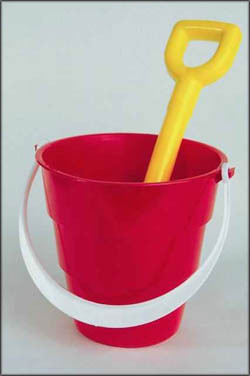 Prepare the game by choose a medium large object such as a small red bucket for playing with sand. Instruct your toddler that your are going to play hide and seek and that you have to find his / her red bucket. Let your toddler try finding it first without your assistance. If your toddler doesn't succeed, start giving clues, e.g. 'I think it might be near a tree' or 'I wonder if it's near your sandbox?'. Spending time outdoors will allow them to expend energy and there are a variety of activities that provide learning experiences as well as just plain fun. Outdoor play will benefit all children by providing plenty of physical activity as well as fresh air and sunshine. Toddler activities can include planting a small garden. 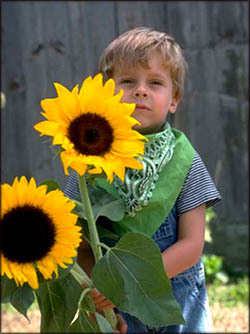 Toddlers can help plant the seeds, water the plants as they grow and pull the weeds. They will be thrilled when the plants actually produce something they can pick and eat. Riding tricycles or other ride-on toys.. Go for a ride where you pick up interesting stuff on the way, pretty leaves, funny stones, pine cones that you save for later. Perhaps for an art project. Blowing bubbles. All kids are fascinated by blowing bubbles. Today you can get all sorts of fancy bubble equipment to make huge bubbles or to have a machine blowing out tons of bubbles. However, blowing bubbles old style with the traditional ring can be just as much fun. Having a picnic! Prepare a few sandwiches along with some separate pieces of cucumber, tomatoes, carrot sticks with cream cheese for dipping and set yourselves down in the garden, in a park or near a playground. Eating in nature gives the eating experience a whole new dimension. Taking a walk around the neighborhood. 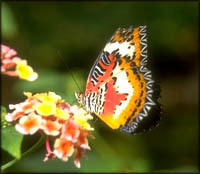 Look at the gardens, pets in gardens, teach about traffic all while getting some good exercise. Coloring on the sidewalk with chalk. Make some geometrical shapes, circles, squares, triangles etc. and tell your toddler to jump on the shapes. If your toddler is old enough to be able to grasp the concept of shapes, refine the game by naming a shape, that he / she should jump to. Playing in the sprinkler. If it's hot, a sprinkler can be great fun for toddlers and even older kids. Even though they will probably take care of themselves in this kind of toddler game, don't leave them unobserved as it is still a game that involves water. There are numerous math games for kids including toddlers. If you are to play with numbers, the basic starting point is learning to count. There are many ways that you can help your child to learn to count. Parents have found the easiest way of doing this is to count the things that toddlers are around every day. Their toys are one. Food is another. Counting toys. Counting toys as they are taken from the toy box or putting them back during cleanup will teach your toddler numbers and the order of these numbers as they repeat what you are saying. It will not take long before they are counting by themselves. 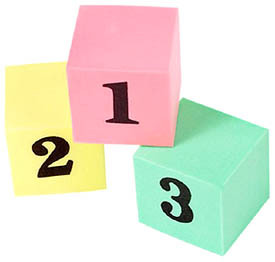 Counting food can also easily be included in toddler games such as math games. Count the number of peas on their plate. How many plates, cups, etc. are on the table? Toddler activities that are part of math games include finding shapes such as triangles, squares and circles around the house. Go around the house exploring shapes. Cut shapes out of play dough while you explain what the shapes are. Put the shapes together to make things such as a train, a house or animals. Songs are part of the toddler games that can help your child learn how to count. 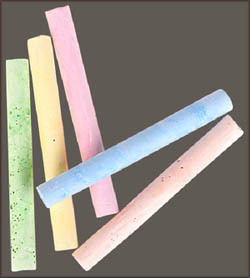 'This Ole Man' (Knick Knack Paddy Whack) is a favorite of children. 'Five Little Monkeys' is another. Children love to sing as well as looking at books, which can also help them to learn numbers. There are many books available that include pictures of the numbers as well as the objects that are being counted and this will help your toddler to recognize the numbers and associate them with objects. Playing with blocks is a terrific way of learning shapes as well as counting. Building things together with the blocks can also include putting all the blocks of one color together. Help them build a tower of red or blue blocks. This will help toddlers distinguish between red, blue, yellow and other colors. Balls can be used similarly. Using a few baskets, label each one with a color. Practice throwing the balls that match the color into the correct basket as one of the toddler activities for color recognition. 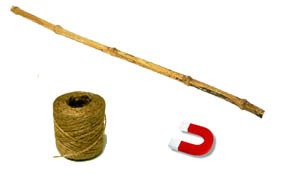 Make a fishing pole using a stick and string. Attach a magnet to the end of the string. Cut out fish shapes from construction paper and paint them in different colors. Also if you're really clever and want to take this game an extra step, make 'real' fish: A shark, a clown fish, a salmon etc. Punch a hole in the fish and put a paper clip through the hole. Write a number on each fish. You can now say to your toddler, go fish number 3 (learning numbers), go fish the blue fish (learning colors) or go fish the clown fish (learning fish species). Your toddler will love going fishing and this is a game that makes learning fun. Almost all children enjoy cooking whether it is pretend or real. There are many easy recipes for kids that even your toddler can help to prepare. Spending time in the kitchen with your child can include toddler activities that will be just as much of an adventure as a trip to the zoo, the circus or the playground. 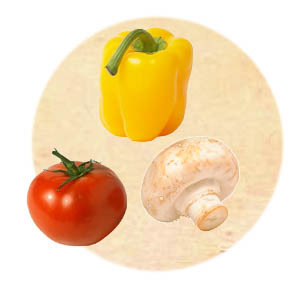 There are a variety of recipes that little ones can help to prepare. While they are helping, they can learn. Assisting with a snack or a meal will help to teach shapes, nutrition, measuring and coordination. You don't have to use cookie cutters just for cookies. Have your toddler help you make a sandwich by letting him / her arrange the layers of stuffing inside the sandwich. You put the ingredients on the table and your toddler piles the stuff on the bread. Then cut the sandwich into funny, interesting shapes. This is an ideal meal for a garden picnic! If you're making pizzas, you can have your toddler help you make funny faces on them. First make the base with tomato sauce, cheese and small, already cooked chicken bits (you can also use ham bits). Have two slices of tomatoes as eyes and two slices of olive as pupils. Cut a mushroom in half and use it as a nose. Use a slice of pepper as a smiling mouth and when the pizza is done baking you can use green rucola salad as hair. Your toddler might not eat all the stuff that is on the pizza (e.g. rucola can be a bit strong and bitter) but the vision of the pizza will surely delight your kid. The more imaginative you can make this experience, the more they will enjoy the time you spend together in the kitchen.